Pet-Vet Supply has the best pet grooming Oklahoma City metro pet owners have trusted since 2009. Our full-service, luxurious approach to pet grooming will put your dog or cat at ease and give them a style unto their own. 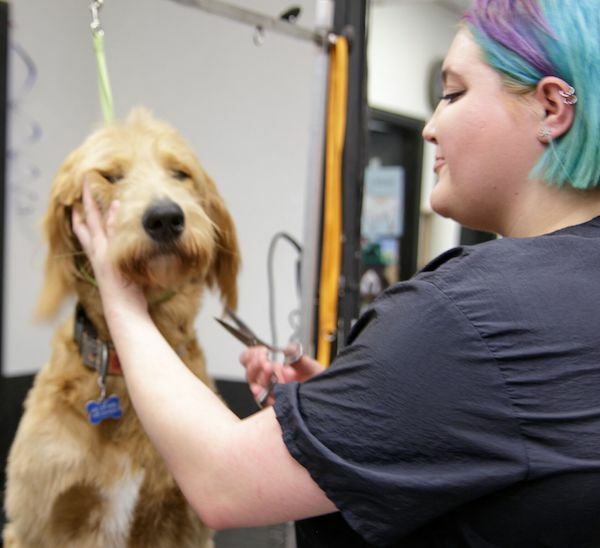 Our cat and dog groomers are trained in the art of making your pet look and feel their very best! 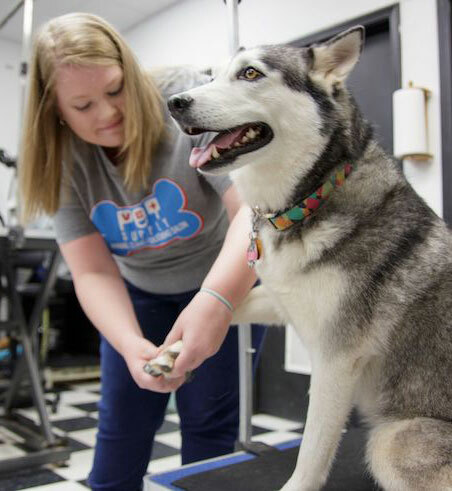 When looking for cat and dog grooming, OKC pet owners demand the best. That is what they receive at Pet-Vet Grooming Salon. Finding a qualified cat groomer can be an impossible task, but here at Pet-Vet Supply, Carrie will gladly groom your feline friends. We offer additional services and treatments depending on your pet’s needs. Oklahoma City pet owners have come to love our hypoallergenic oatmeal bathes, flea & tick dips, and dental care to help their pet look and feel their best. With Pet-Vet Animal Clinic on hand, we offer a FREE Office Call (savings of $25!) if your pet needs vaccines, a itchy spot looked at or a refill of medication. Just let them know when you check in your pet and they will be ready to go when we give you a call! Trust your pet to the experts in Oklahoma City pet grooming. Come by our salon and spa, located in Midwest City one mile off of I-40, or call us at (405) 733-2238.